January average temperatures were up to 8°F below normal. 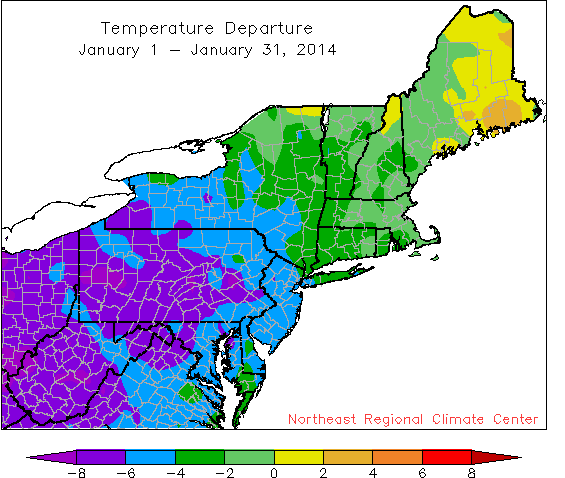 January was consistently cold, but not consistently snowy. The New Year started with a reminder of what winters can be like! 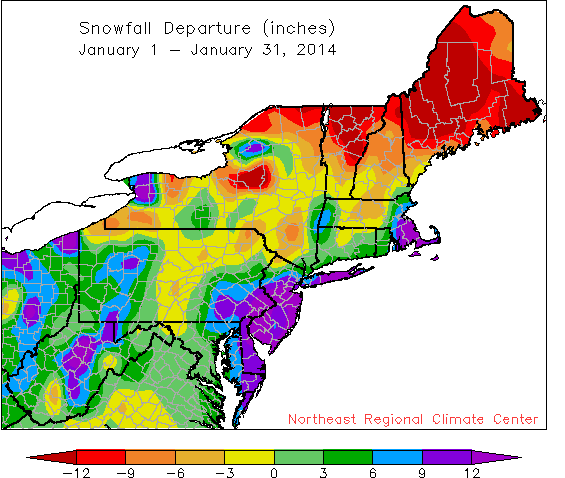 After two relatively mild winters, January 2014 was bitterly cold and snowy. While parts of Maine had normal to above normal temperatures, the rest of the region saw below normal temperatures. 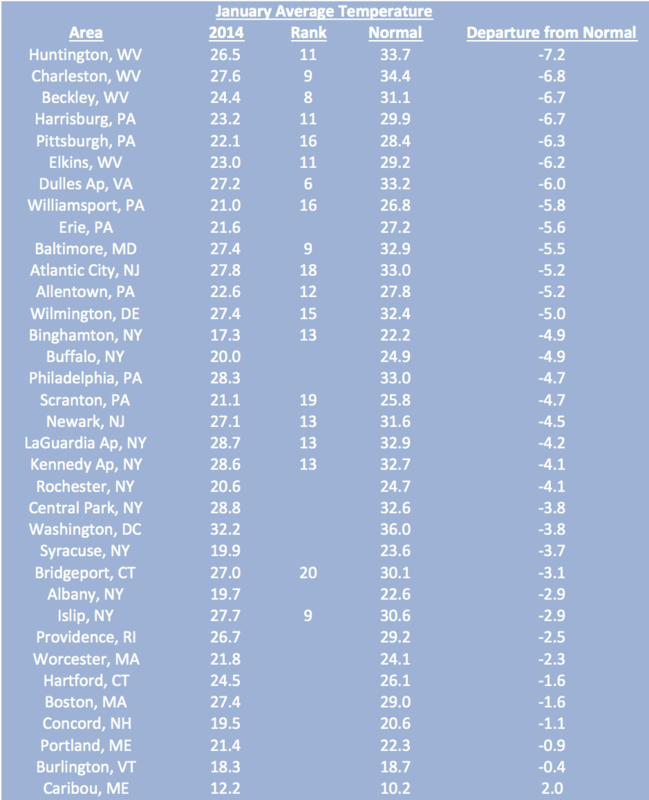 Huntington, WV had the largest departure with an average temperature more than 7 degrees below normal. Binghamton, NY had 10 days below zero, breaking their record of 9 days in 1994 and 1968. Precipitation throughout the region varied. 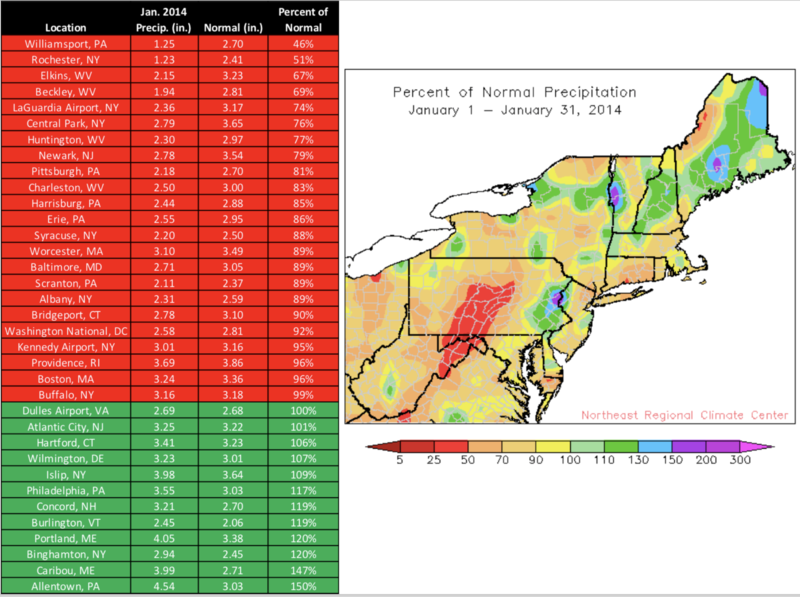 Rochester, NY only had 37% of normal precipitation, while Beckley, WV had 174% of normal. A winter storm on the 20th - 21st brought hazardous conditions to coastal areas. The storm brought 13.5" of snow to Philadelphia, PA contributing to their monthly total of 25.9", ranking their 3rd snowiest January. 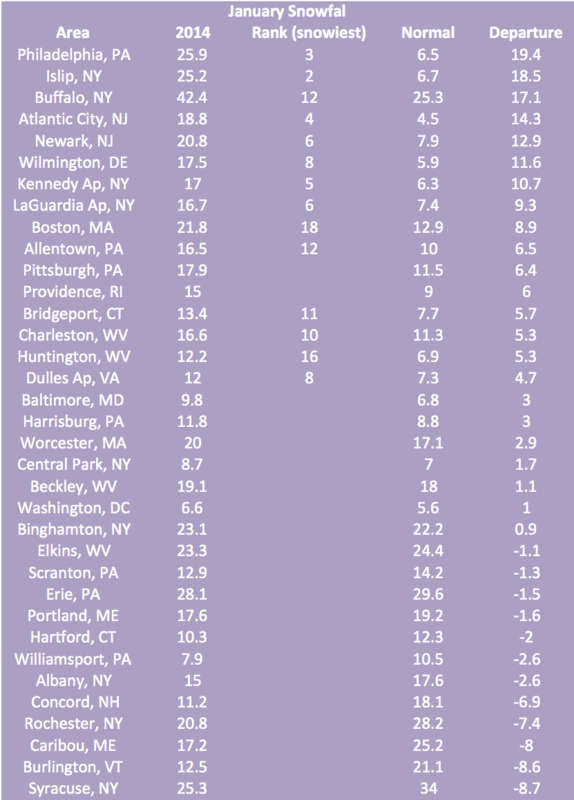 Cities farther inland had below normal snowfall, such as Syracuse, NY who saw 8" less than normal.